With grooming, men only care about results, except for playoff-bound hockey players, who only care about the results they superstitiously believe come from staunchly refusing to groom, even when their beards approach rampaging Viking status. 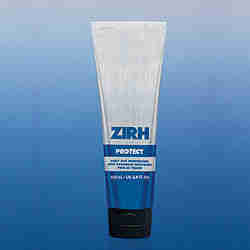 For skincare products that get straight to the point, go with ZIRH. 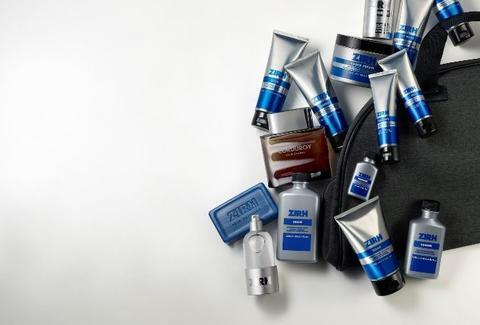 ZIRH scientifically tests the best available ingredients to create no-nonsense, multi-purpose products specifically formulated for men -- as opposed to simply repackaging women's products, because what guy wants to be easy, breezy, bro-tiful? The lineup, which can be used individually or in concert, includes: Â Restore Locks in surface moisture to make the oh-so delicate skin around the eyes stronger, healthier and more resilient. Also includes caffeine, to stimulate circulation underneath your eyes and help remove the dark circles that form after spending all night consuming things that don't involve caffeine, then spending all morning wishing you hadn't, and wondering why everybody keeps calling you "Python". Protect Helps improve skin texture and elasticity while maintaining moisture levels. Packs Alpha Hydroxy Acids to smooth and soften skin, and harnesses antioxidant powerhouse Pycnogenol® and Vitamin E to fight the negative effects of free radicals from environmental pollution, sun damage, and staring too long at Joe Biden's teeth. Mesmerizing. Shave Specially engineered to smooth and calm skin with unique combination of natural ingredients that work together to prevent drag and reduce burn and nicks. Specifically engineered to soften tough, coarse facial hair. Extremely concentrated formula: one jar lasts 3-4 months, kind of like milk. No? Really? Damn. 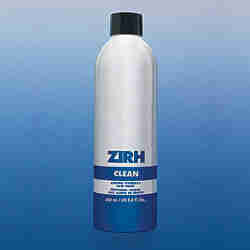 Â Clean Which clears away dirt and oil and lifts off surface skin cells that have died, hopefully of a heart attack while making love to younger, extremely attractive skin cells. To turn you on to this exceptional posse of grooming supplies, ZIRH's offering Thrillist readers 25% off online purchases, and a free sample of the shave product, by using the code "JOINZIRH" at checkout -- a deal so good, you'd have to pillage all of medieval Europe to beat it.